Saturday night before the Super Bowl is when the National Football League holds their annual NFL Honors ceremony, honoring players with awards and announcing the new Hall of Fame Inductees. This year, Lehigh Valley has reason to celebrate, as one of our own, Andre Reed from Allentown, Pennsylvania, was named to the NFL Hall of Fame Class of 2014. His football career started right here at Dieruff High School and in his Senior year he led them to a tri-championship, tying with Emmaus and Whitehall. From there he went on to Kutztown University where he caught the eye of NFL scouts. In 1985 Reed was drafted in the fourth round as the 86th overall selection by the Buffalo Bills. Reed played for two teams during his illustrious 16 year career, spending his first 15 season starting in 1985 with the Buffalo Bills and one with the Washington Redskins before retiring in 2000. He played in four Super Bowls with the Buffalo Bills and his 27 receptions are the second most career Super Bowl receptions behind Jerry Rice&apos;s 33. His 323 Super Bowl receiving yards ranks third in Super Bowl history. In "The Comeback" game against the Houston Oilers, Reed finished the game with eight receptions for 136 yards and three touchdowns. 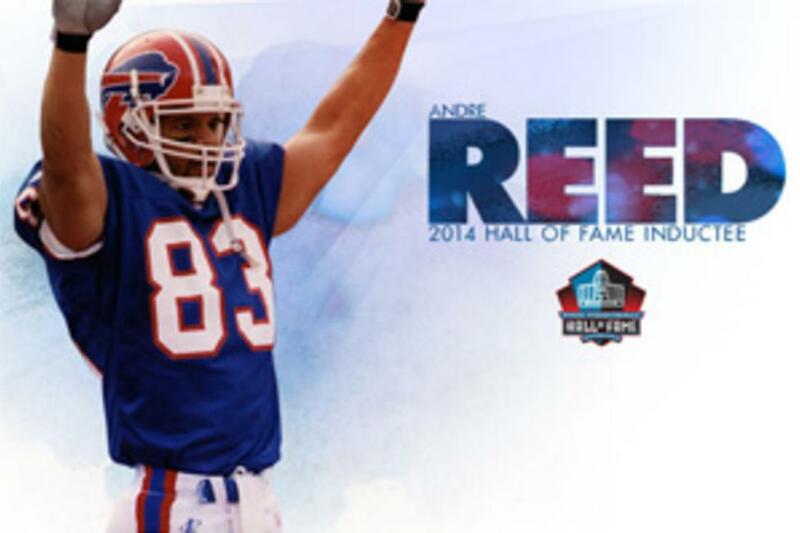 Reed holds the Bills All-time receiving record for yards at 13,095, receptions with 941 and touchdowns with 86. The former Dieruff Husky is 11th in NFL history for total career receptions with 951. Reed is 13th in NFL history for total career receiving yards with 13,198. He was selected to the Pro Bowl seven times. Reed is just one of four Division II College Football Players in the Pro Football Hall of Fame. He is the second area native to be enshrined in the Hall of Fame, the first was Chuck Bednarik, who was from Bethlehem. Enshrined in the Hall as a wide receiver, he played Quarterback at Dieruff High School, before moving to wide receiver at Kutztown University.